Enhance your Pilates teaching with the Pilates small ball, weighted balls and massage balls and discover how these balls add variety, challenge, resistance, control and fun to your Pilates programs! This course includes a downloadable course manual and will take approximately 6-8 hours to complete. On this course you will learn a series of preparation movements with the Pilates small ball. This encompases a motor control approach for the deep muscle systems, to improve movemnt quality. The Pilates small ball is incorporated into selected exercises from the APPI Matwork series. The Pilates small ball is used to both facilitate and challenge total body movement. You will learn to apply the APPI Pilates principles with Pilates weighted balls. 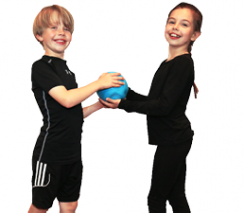 The use of the Pilates weighted balls is highly effective for targeting specific muscle groups, as well as improving postural and movement awareness and control. The Pilates massage ball is utilised in a series of massage and release techniques for tight and uncomfortable muscles. This practical course covers exercise variations and special consideration, with a focus on injuries and rehabilitation. You will improve your knowledge and skills in the us of Pilates small balls, weighted balls, and massage balls in your clincal practice of Pilates. This online Pilates course will help you to incorporate the APPI Pilates methods into different stages of childhood development to create fun and innovative Pilates programs for children and adolescents.